EOS - European Organisation of the Sawmill Industry | News - Wood availability and level-playing field for European Companies: the EESC message at the Building with wood Conference. Wood availability and level-playing field for European Companies: the EESC message at the Building with wood Conference. On 21 November the conference "Building with wood" was organised by CEI-Bois (European Confederation of Woodworking Industries), FIEC (European Construction Industry Federation) and EFBWW (European Federation of Building and Woodworkers) in the facilities of the European Economic and Social Committee. Mr Patrizio Pesci, co-rapporteur of two EESC opinions dedicated on the wood-working industries and on the role of wood products in tackling climate change, and Representative of the wood industries in the EESC, he expressed his great pleasure for being present at this conference. He said that this event could be considered as a new starting point of the EESC for evaluating the progress of the wood working industries in providing new solutions for wood application in construction. "Half of the world population lives today in urban areas and forecasts predict that by 2050, 75% of the people will live and work in cities. Our challenge is to make European cities more environmental friendly and the answer can be found in enhancing the use of wood as construction product and everyday material. On occasion of this conference, we are going to recall how timber sourced from sustainable managed forests can play a key role in green buildings constructions as it has lower carbon footprint compared to other materials, it is a renewable material and particularly it stores carbon. Speakers will highlight that nowadays advanced engineered wood products are allowing the construction of tall, safe and more economical wood buildings; and how pioneering architects are identifying new ways to design and construct cost-efficient living places. Without going into technical aspects, it is important for me to stress that building with advanced wood products complies with the highest fire-safe standards. Wood is also more earthquake stable compared to other materials; wood’s flexibility allows modern wood buildings to sway in an earthquake rather than shatter -with less resultant damage. Without doubts, wood is one of the most environmental friendly materials and its use should be promoted as part of the European agenda and policies such as the bio-based economy. At the same time, we must acknowledge that promoting this great material should be done in parallel to an active engagement of our Institutions to boost the competitiveness of the wood working industries, particularly solving the major challenges that the sector is facing such as wood supply – it is for me of great importance for me to stress that the European Hardwood sawmill industries are facing a dramatic lack of raw material. The European Union and its Member States should guarantee a level-playing field for companies that operate on the internal market, by promoting investment and by creating a favourable business environment. As representatives of this European Economic and Social Committee, I am fully committed to fostering the dialogue between the wood working industries represented in Brussels by CEI-Bois, EOS and EPF and our Institutions in order to tackle these challenges and maintain the competitiveness of this sustainable manufacturing Industry. " 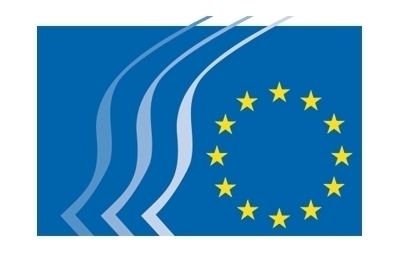 The European Economic and Social Committee (EESC) is a consultative body of the European Union established in 1958. It is an advisory assembly composed of "social partners", namely: employers (employers' organisations), employees (trade unions) and representatives of various other interests.